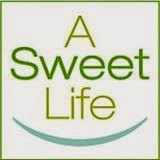 Sweetly Voiced™: As you know from experience, diabetes can affect your thoughts and decisions about how many children to have or adopt. 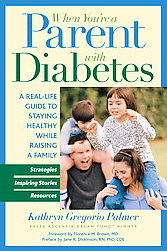 As you know from experience, diabetes can affect your thoughts and decisions about how many children to have or adopt. Today's prompt is to open a book to any page, take the first line you see, and make that the title of your blog post. Then riff on it in a post for 20 minutes. I know why I reached for When You're a Parent with Diabetes on the shelf - a book I bought while pregnant and probably opened once to read a brief page or two on pregnancy and pre-existing D…but I'm shocked at the page I opened it to and the first line I saw. It was under the heading "Considering Another Child." That's so exactly - down to the minute - where we have been this week. Hubster and I were about to embark on trying to conceive again when adoption unexpectedly entered into the discussion. We have talked many times about whether we would want a second and third child to our little nuclear family. My first pregnancy with diabetes was such a walk in the park that I am confident that I could ace my way through another one. I've been wanting to rush it though so that I would still be under 35 and healthy should we want to attempt a third. (Little Sweetie was born when I was 30.) I know women with Type 1 Diabetes who have had successful pregnancies in their late 30s and early 40s, but I am not sure I want to add the increased risk factors, so I have been thinking that Bun #2 probably better get in the oven some time this year. Both of our families have adoption at the heart of them. My grandfather and his half-brother were adopted by their stepfather (named Baland) in the early 1930s and I've always marveled that the name I knew as my last name all my life came from the goodwill of a man who wanted his sons to be legally his. My husband's mom and her twin sister were adopted by a family friend as infants when their mother couldn't care for five children with no family there to support her. The funny thing is that the only reason I might not have considered adoption before is actually because of diabetes. I didn't want people to believe in the ridiculous notions about diabetes and pregnancy fueled by misconceptions, misinformation, and Miss Julia Roberts in Steel Magnolias. I wanted to prove that my nagging little health condition was not in my way. The way I've always wanted to prove that it's not in my way. My pregnancy with Little Sweetie proved that for me. My writing about my health proves it - my resolve to live a beautiful life in spite of odds and obstacles. So maybe now we might open our hearts and home to someone who needs to be here. It's still only a distant possibility. But if it comes to be, I will work even harder to be a healthy, strong parent to two as I have to one.